Content management systems can bring a world of difference to the Internet. Reading content, which the web is filled with, can be nearly impossible without a CMS. CMS or content management systems power many of the websites that you use on a daily basis. Whether you are checking the news or reading your favorite blog, chances are that some website that you use each and every day is using a content management system. 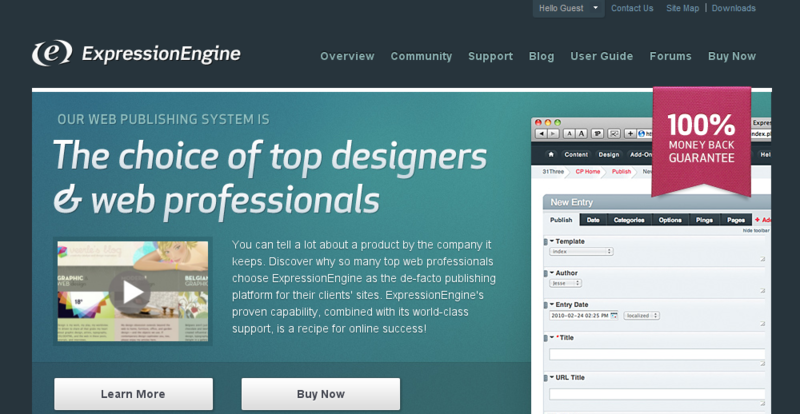 Expression Engine is a great contenet management system for those who are designers and web professionals. Expression Engine has a large amount of flexibility that lets it be molded into whatever use is conducive to its owners. Best of all, Expression Engine has a built in cache function that can help the busiests websites sustin themselves during high traffic periods. 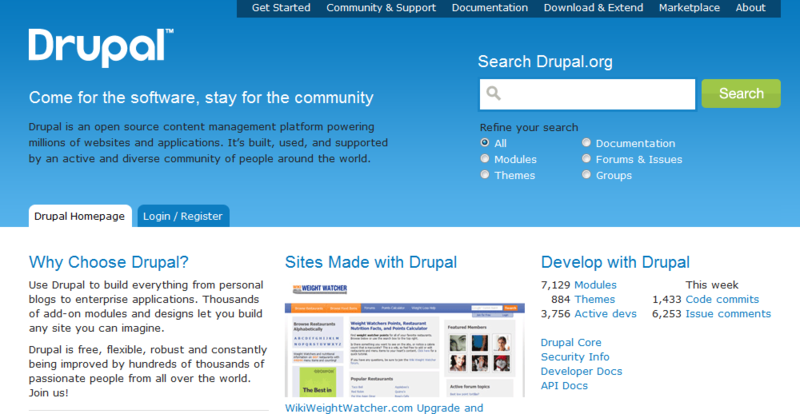 Drupal is an open source, completely free CMS. This means that users do not have to worry about paying to deal with their content management system. Drupal also has thousands of add-on modules and is able to create any site that you desire. The modules and add-ons are a stunnign way to increase your ability to mold the sites that you would like in the future. 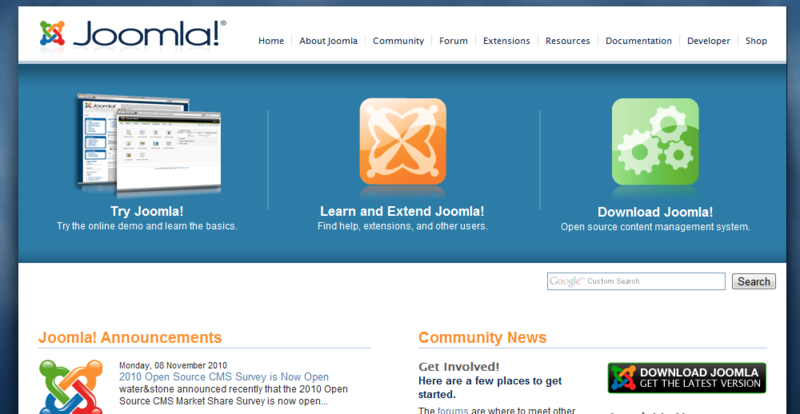 Joomla is unique in the fact that it wants its users to succeed. Joomla is developed through an open source initiative that gives more effort towards wanting their users to know what is going on with the project. Even if you are not an expert, you are encouraged to get involved in Joomla and help it to become the best content management system out there. Best of all, feedback costs nothing! Concrete Five lets users who are not super technically experienced create amazing websites. You do not have to be on the top of the world to realize that a lot can be done with Concrete Five. Drag and drop functionality as well as the free cost brings Concrete Five in at number seven in our countdown. 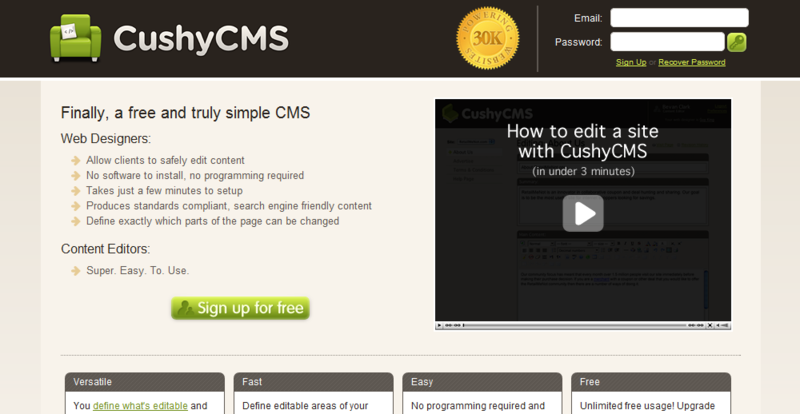 Cushy CMS is another user friendly non-technical CMS. It is currently deployed to over 10,000 websites that are live and being displayed on the Internet right now. Users are able to safely and easily download and upload content as well as make edits to content on their installations. 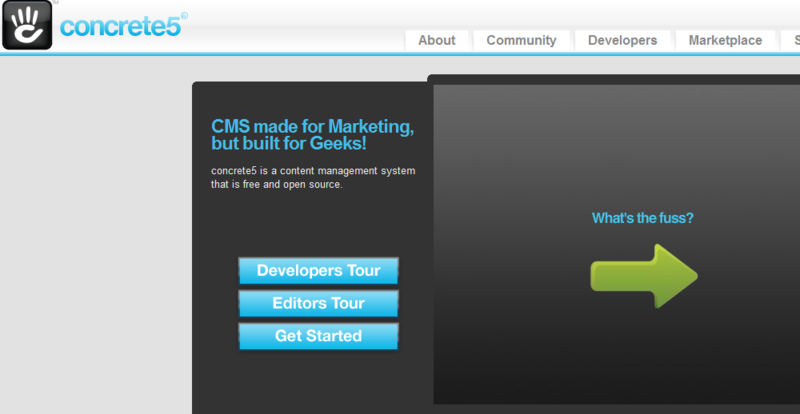 Cushy CMS is safe for those who are not experienced and want to try a CMS out for the first time. Cushy CMS also does not cost anything. 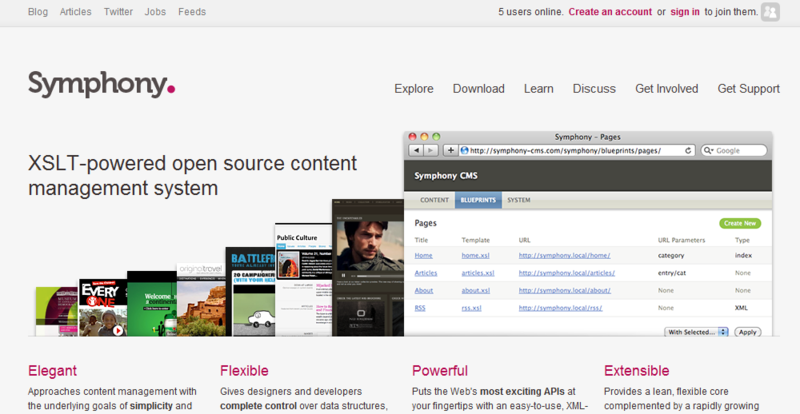 Symphony is a CMS designed for developers. Anyone who enjoys going in and digging around with code will love using this content management system. However, there are a lot of people who do not like doing so. Symphony is versatile and easy to use for developers but might not be the first choice for those that are not as technically inclined. 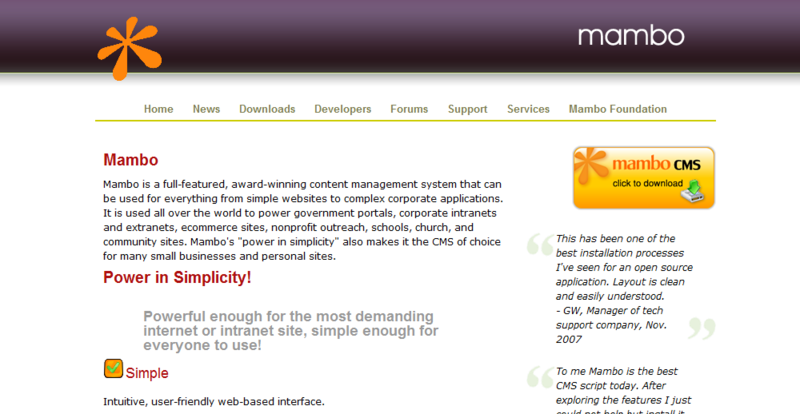 Mambo is very well known to developers and users of CMS. Mambo has the ability to be complex as well as very simple. It is up to the user how complex they want to take the system. Don’t worry if you don’t know much. Mambo is hosted on sourceforge, one of the largest open source development communities in the world. 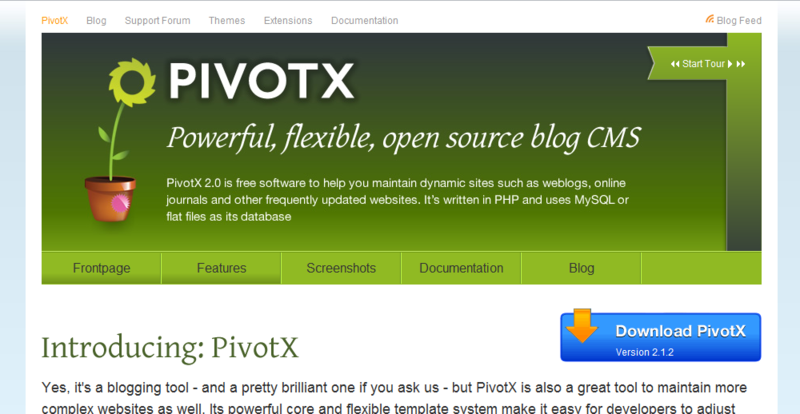 PivotX is an easy to use open source blog CMS. It is great for any type of site you are building regardless of how simple or complex it is. 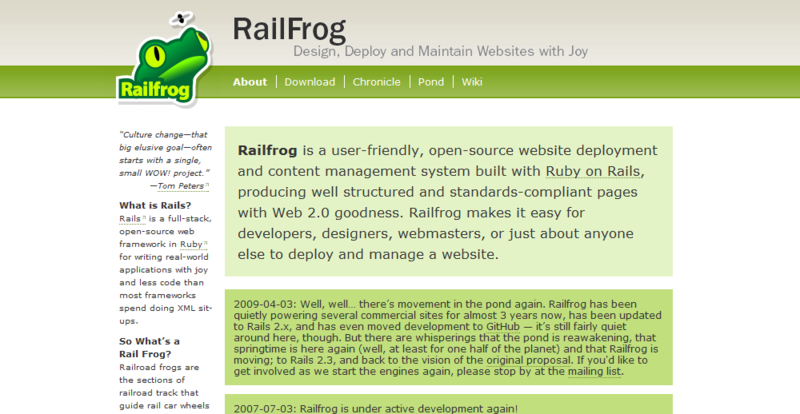 Railfrog is built on top of Ruby on Rails. This is the same powerful software application that has Twitter and Basecamp as some of its sister websites. Railfrog does require that developers know a little bit about how to use and code Ruby on Rails. However, they provide excellent information and are willing to work with anyone who does not have all of the necessary experience to work with Ruby on Rails. WordPress is an amazing blogging software! While it is first thought of as a blogging software, the software in WordPress can be used to create websites and manage loads of content as well. WordPress is used on over 10% of the Internet today. Check out where you can use WordPress and how you can use WordPress by looking at their websites along with the codex for all of the developer support that is necessary. There is a content management system for almost everything. Whether you have found the perfect CMS or not, you have learned a large amount about what a CMS can do for your web presence. What is your favorite CMS? Please share in the comments. I can't believe that you don't have SilverStripe on here (http://www.silverstripe.com/) A Fantastic Open Source CMS used on the "2008 Democratic National Convention" website & recently a finalist in the New Zealand Open Source Awards 2010. Might want to include Umbraco CMS (www.umbraco.org), an open source CMS running over 85,000 sites like Wired and Conde Naste and powering Microsoft's own ASP.NET site. Thanks for the suggestions. Sounds like a CMS worth checking out. A very in-depth and balanced analysis. Wordpress is clearly the best CMS, but I am a bit tired of how insecure it can be. This is easily compensated for however by the 15 million extensions that exist for Wordpress... although I have found many if these to be a little basic and flakey to use. Despite this, Wordpress is also free which means that anyone can download it, have a play and explore it's vulnerabilities. It would be nice if there was a professional body responsible for maintaining the stability and security of Wordpress, but that's not worth actually having to pay for. Exploits are one of the dangers of popular free open source software. Fortunately WordPress is pretty good at patching their code. Out of interest what makes Wordpress the "best" cms, I've used Joomla, Wordpress, Drupal in the past but ended up sticking with Drupal and have now created something in the region of 15 to 20 sites with Drupal. I see a lot of people mention that they consider Wordpress to be a fantastic CMS system but is it really? It seems really cumbersome to use to me. Whereas with Drupal I can be ready to go making a new site without writing a line of code and work only with CSS to produce good feature rich sites. Obviously as I have experience with Drupal I realize my opinion on this is not without bias, I'm keen to produce a couple of sites with something like Wordpress to see how it's changed and what all the whohar is about. @AndyCrofford - totally agree, I patch my WP websites all the time. It's a bit of a hassle with 50 sites to patch, but I just pass the cost of upgrading onto the client. If they don't want to pay to have their site patched on a regular basis, they can deal with the hackers. The only thing I hate about the WP patches is that some of the plugins I use break. When a client can't live without the plugin, i just leave their site unpatched, and when they can, I patch their site and hope that the plugin dev releases a new version that works. It's annoying but you get by. @Rob - WP is the best because everyone uses it. It's also really simple. Things like Drupal and ExpressionEngine require you to think about how your site is going to work. WP however is great, you just install it, pick a theme install all the best add-ons and you're done. Nice and simple. While it is a hassle to patch your site at least they have made it much easier with the auto tool. It was a real pain before that when you had to do in manually. And, Textpattern, TXP, www.textpattern.com ???? Very useful and simpe solution for any kind of web. What about Modx? It crazy easy to use and learn, and clients find the back end simple too...Helpful community also helps... I have found it awesome for someone not coming from a developers background! I must admit I haven't used all of these, but ExpressionEngine (one word please) is a world ahead of Wordpress. It seems DotNetNuke is also missing...For MS Windows + IIS based systems it's one of the best solutions around. OMG. What about [insert name of CMS which I created which no one else has ever heard of] ??? The problem with a lot of these CMS systems is that they have a steep learning curve and are sometimes overly complex for small projects. I would recommend Perch for developers who need a straightforward and easy to use CMS but with a raft of features. We use CMS:42 from a company called Webnetism at http://www.Webnetism.com. It's amazing. Oh yeah I have used a few of these and MODx is hands down the easiest and most flexible CMS to use. Both from a client perspective and as a designer developer. The template system is the easiest to set-up and and update. The speed at which you can create a custom wordpress powered website for me makes it king. Once I have created an xhtml template it takes 10 minutes to plug in the Wordpress gubbins and make the site live with my theme. Other CMS I have tried work the other way round in that you have to theme the CMS. With Wordpress I create the theme then put a few lines of WP code into that. I agree. This is the exact reason I prefer WordPress. Glad you liked it. Thanks for re-tweeting. There are tons of these lists. And this is a selection of a selection. It should have been called the "My top 10 PHP CMSs" or something like that. It avoids the "why didn't you mention XYZ" discussions. That is true and will be taken into consideration for future articles. Trying not to be rude, but, reading throughout this list of mixed OS CMS, Payed CMS, Blog MS, Cloud Based CMS, etc. Makes me think someone didn't do his homework. They are all mixed up and have different characteristics so grouping them into just one big box is like a nonsense. Following the line of thinking for doing this freak exercise, you forgot to mention Moodle and Sharepoint... I know, LMS, CMS, Blogs, html, ASP, they are all the same... ain't they? ain't they?? I don't think you are being rude at all and appreciate your feedback. I agree that this is something that should have been taken into consideration. I use rail frog myself. I find it more user friendly. I really really like drupal, but these other systems are worth looking into. Thanks!